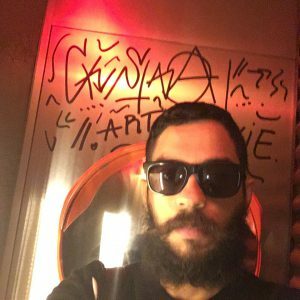 'Paulistano' (hailing from São Paulo, Brazil) Alexandre Antonio, better known as DJ ALE SAN, has been a connoisseur and passionate follower of electronic music since he was 13 (1988). He has been performing to audiences for more than 18 years (100% vinyl), with styles ranging from House/Deep/Tech to Nu Disco Music and its various forms. ALE SAN has performed at renowned clubs such as; Vegas, Lab Club, A Loca, Audio Delicatessen, Tapas Club, Bar Thirteen, 8 Bar and D-Edge to name but a few. Ale has travelled annually since 2010 to Europe, principally France, Germany and The UK record shopping, and this year (2015) even to New York to keep himself up to date with the world electronic music scene. Ale also promotes the Eletrola Música party which has taken place in countless venues in the Brazilian capital. São Paulo from 2006 to the present day (2015). Roberto and Alexandre started travelling in 2009 to Canada and Europe, stopping by France, Germany, United Kingdom, Netherlands and Italy. The trip was a source of their research about the electronic music world scene.